The Freighter was the original Shelvoke & Drewry design with its small solid rubber tyred wheels, tiller steering and tiller controlled gearbox. In production from 1922 until the very last vehicle was built for St. Helens in 1955, although after 1952 the few Freighters produced were mostly for industrial puposes. Pneumatic tyres became standard after 1931. From 1945 production continued as the Mk II . The following are known to exist. SD Freighter. Year of Manufacture: 1925 Original Owner: WH Allen, Bedford. Owner: Present Owner unknown. Location: Bedfordshire. This Freighter was produced for WH Allen Sons & Co. of Bedford , manufacturers of marine and aero engines in 1925 who also operated a standard SD Freighter at this time. Modified to carry an amazing ten ton load the altered gear ratios restricted the Freighter to just 3 m.p.h. The front wheels were built up with wooden felloes and steel tyres whilst the oversize rear wheels were steel castings. The Freighter returned to Letchworth in the mid 1970's for retirement. A worthy working life of some 50 years. The photo was sent in by Kim Syder the daughter of Jack Arnold who was a very popular Service Manager for S&D and shows the return of the Freighter to S & D. Jack is on the right in the photo. How it came to a barn in Bedfordshire has yet to be discovered. But this is a truly historic part of the SD Freighter story. KP 7670 is a 1927 Freighter which restored to 1922 specification by S & D's apprentices in 1968. Following a period as a demonstrator the Freighter was in the service of Folkestone Borough Council until 1946 on refuse collection. 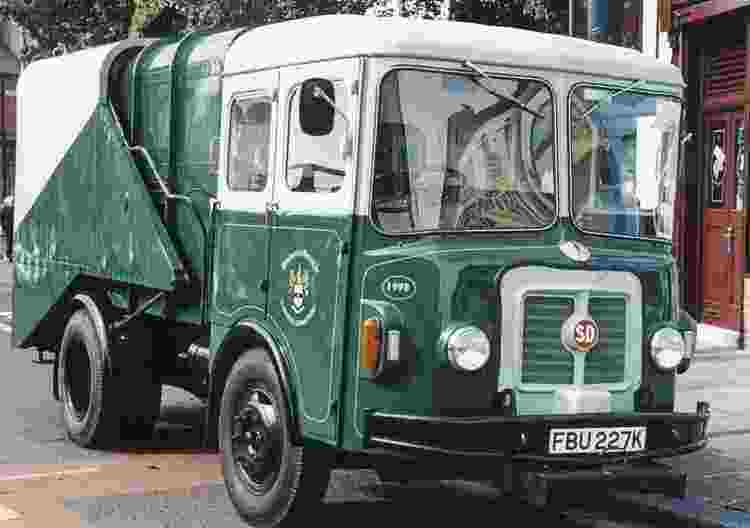 It then was used as a sewer maintenance vehicle until February 1966. This vehicle is now under the care of Malcolm Bates who was responsible for S&D's publicity and photography from 1969. It is currently housed at McCreath Taylor's premises in Lisburn, Noryhern Ireland. MI 2721 SD Freighter with flat bed body. Year of Manufacture: 1929 Original Owner: Pierce & Co., Co. Wexford, Ireland. Owner: David Johnston. Location: Co. Cavan, Ireland. This Freighter was used by Pierce & Co. for the transport of raw materials and finished farm machinery to and from the docks and railway station and was in use up to the 1960's. Then for a time it was owned by brewers Smithwick's of Kilkenny. It was then acquired by the An Dun Transport & Heritage Museum, near Athlone in Co.West Meath, Ireland. In October 2010 it was purchased by David Johnston and has been fully restored and re-painted in the livery of McCreath Taylor. RD 8178 is an ex- Reading Gully Emptier and was built in 1936. It was owned by Michael Bicknell of Reading until 2009 - present owner unknown. 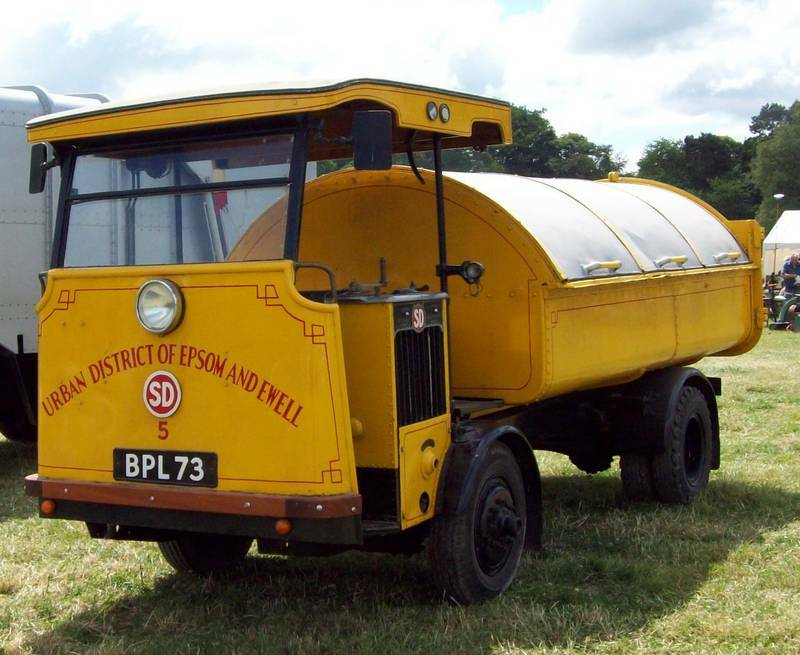 BPL 73 has a Chelsea type body and was delivered to Epsom & Ewell in 1934. This Freighter appeared in the Dad's Army film. 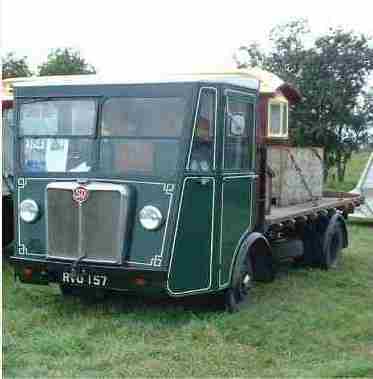 It is owned by the Southern Counties Preservation Trust and is on loan to the Bressingham Steam Museum in Norfolk and forms part of their Dad's Army display..
An unregistered 1947 Freighter Chassis/cab was owned by Michael Bicknell of Reading until 2009 - present owner unknown. DFP 432 was kept at the East Anglia Transport Museum in Lowestoft for many years. In 2009 it was passed to a new owner. This 1935 vehicle was in service with Epsom & Ewell and is in a totally unrestored state. BP 9822 at the Amberley Working Museum is an ex-Truro Freighter converted to a Tramocar replica. 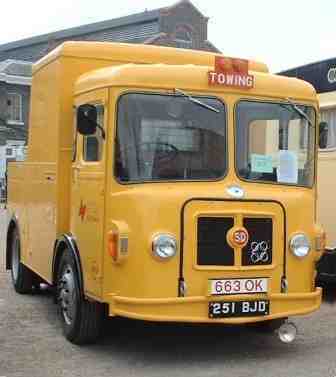 Worthing were among a number of seaside authorities who ran Freighters as Public Service Vehicles. 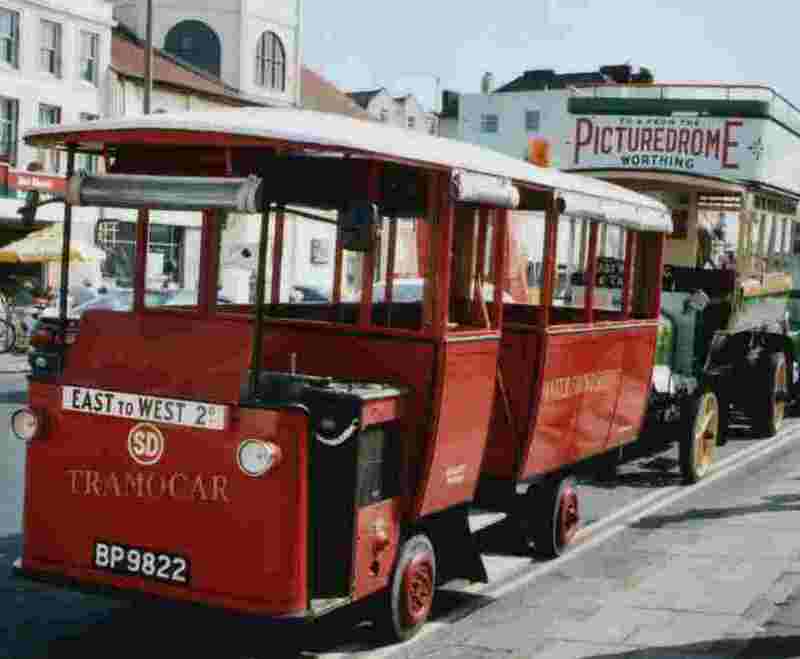 In all W.R. gates of Worthing purchased 14 Tramocars before the Company was sold to Southdown. SD Freighter. Year of Manufacture: Believed to be 1920/30 Chassis Number: 012751 Original Owner: Possibly Kendal U.D.C. Owner: Aled & Matthew Rees.Location: Bristol. This Freighter chassis pictured left was purchased in 2011 with the aim of restoration and in 2017 passed to the present owners. Since around 1982 it had been in private hands in North East England. That owner had purchased it after it had been used for internal transport by Associated Lead Ltd of Newcastle-upon-Tyne. SD Freighter. Year of Manufacture: Believed to be 1920/30 Original Owner: Possibly Whickham Council near Gateshead. Owner: Amberley Working Museum Location: Sussex. This Freighter chassis was purchased by its present owner in 2011 for use as spares for the replica Tramocar Reg. No. BP 9822 at the Amberley Museum. Since around 1982 it had been in private hands in North East England. That owner had purchased it after it had been used for internal transport by Associated Lead Ltd of Newcastle-upon-Tyne. JL 4881 is a Mk II Freighter owned by Cleanaway Ltd. Unlike the other Freighters featured this vehicle has a totally enclosed cab, and was fitted with a handbrake, but retained the tiller controls. JDE 512 is a Chelsea type SD Freighter housed at the National Collections Centre of Amgueddfa Cymru - the National Museum Wales at Nantgarw, just north of Cardiff. It carries the Chassis/frame number N70146, and Engine number EU20250. First registered on 21st December 1947 this must be among the last Freighters manufactured. Introduced in 1947 the 'W' type has a conventional steering wheel, clutch and brake pedals, and conventional gear lever. 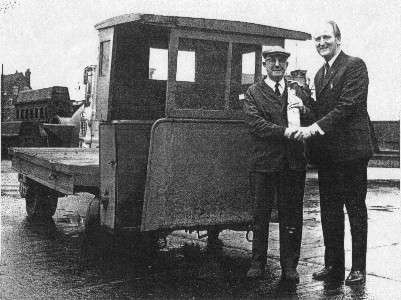 The cab is coach built on an ash frame, and Shelvoke & Drewry's own petrol engine was used, but soon customers began to specify a Perkins diesel engine. Seven 'W' types are believed to exist. ENJ 661 dates from 1946 and is said to belong to Mr. K. Hyndman of Arundel. ZL 7761 has a Chelsea type body. This 1951 vehicle is housed at the National Transport Museum in Dublin, but currently is not on display. This 1954 'W' Type, Reg. No. RVO 157, was photographed at the Cadeby Steam Rally in Leicestershire, on 11th August 2002. The vehicle came from Mansfield Corporation. 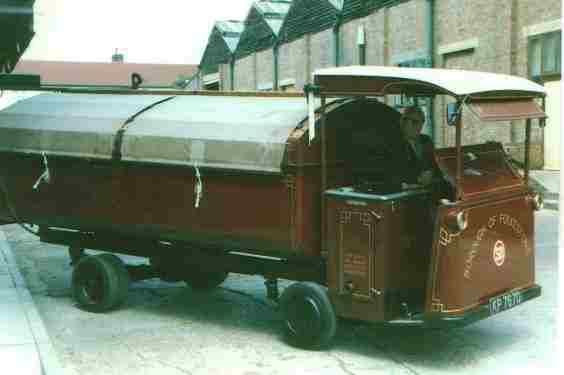 As the original gully emptier body was beyond saving, the late owner, Clive Ellis of Nottingham, preserved it as a flatbed lorry. The vehicle is now in the ownership of Mr. Ellis' family. 701 DUR was owned by Michael Bicknell of Reading, and in 2009 passed to a new owner whose name we don't have. This 1958 Cesspool Emptier is ex-North Kesteven. A 1959 'W' type Reg. No. HFA 908 ex- Burton on Trent was owned by S&B Dominic of Arnold. Nothing further is known of this vehicle. This 'W' type has S&D's 3,620 cc side vale engine and after service with Ketton R.D. 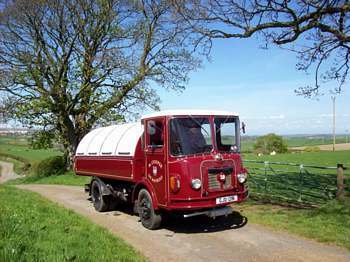 C. was with J & D Hadfield, a coach & haulage company, from about 1967 until 1977 when it was purchased by Ted Hoole from Sheffield. 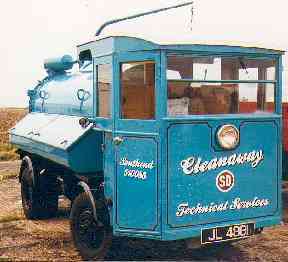 Converted to a flat bed lorry by Ted, and carrying an ex-railway box van body, which housed a fair ground organ, the SD was to be found at fairs and rallies in the summer months for 23 years until 2010. In Spring 2010 the vehicle was purchased by Michael Cooper of Maybole, Ayrshire, who fitted a replica Chelsea type body and re-sprayed the vehicle. In 2015 it was sold to a new owner. 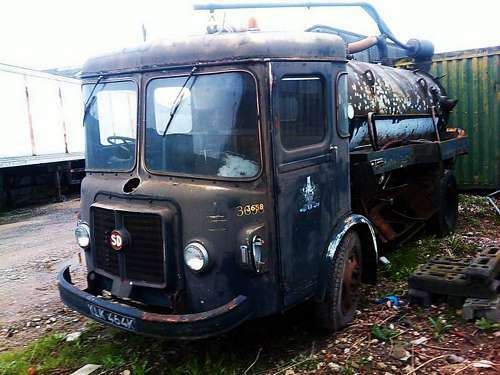 An ex- Huddersfield tanker FVH 619 is under restoration by Jim Wakefield of Wisbech. Jim Wakefield also has YRE 367 a Cesspool Emptier for restoration. Point Cook Air Force Base Museum. Melbourne, Australia. John Williams a volunteer professional engineer at the Museum has sent photographs of the recently restored SD 'W' type airport fire tender which is one of a batch of ten built in 1950/51. 2217 IJ is a 1959 'W' type with a Fore & Aft tipper body. Original Owner:- Bangor Council, County Down, Northern Ireland. Owner:- Peter Johnston, McCreath Taylor Ltd. The vehicle was acquired by Peter Johnston in May 2011 having been dry stored in a hay barn for about 20 years. The cab was completely rotten and the fore & aft tipping body and subframe non-existent. 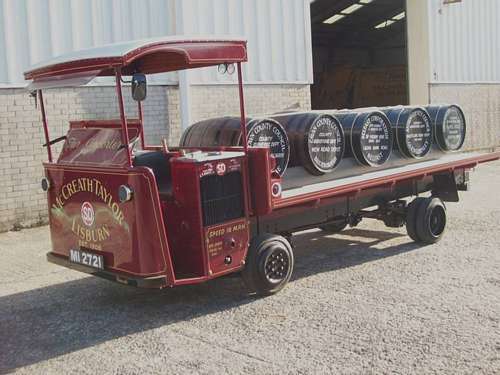 The vehicle was restored by James McAleer of Fintona and completed by the autumn of 2013. 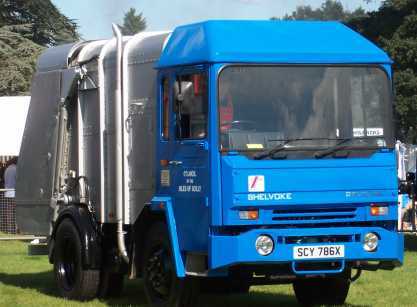 The vehicle is powered by a Shelvoke & Drewry petrol engine. Tom Tillson joined Shelvoke & Drewry from Dennis in 1959 and the 'T' type made its appearance in 1960. Retaining a coach built cab, but with a fibreglass front; the 'W's S&D produced axles and gearboxes were replaced by proprietory units. The 'T' appeared in a variety of forms with various carrying capacties. At least eleven 'T' types are in existence. Peter Jarman saw 251 BJD at the Medway Steam & Transport Show at Chatham Historic Dockyard Sunday 20th April 2003, and sent this photograph. The 1963 TZ, and was new as a gully emptier/street wash tanker to West Ham Borough Council, later passing to London Borough of Newham when London was restructured in April 1965. It later became a breakdown truck, and was destined to be officially preserved, but funds never came. The owner, Clive MacDonald of Croydon, Surrey, entered the vehicle in the 41st HCVS London to Brighton Run on Sunday 5th May 2002. The vehicle was awarded the Paul Adorian Challenge Trophy for Class N: Specialised Vehicles. It also was judged best in its class at the 2004 Gaydon Rally. 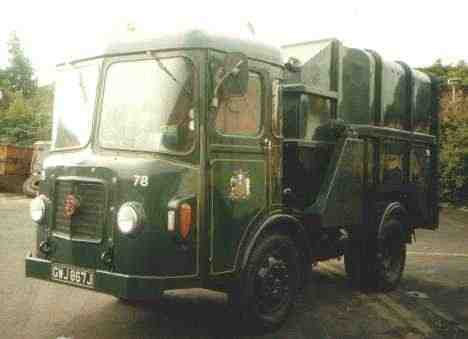 HYD 719 D a 1966 Tanker remains in service at the factory of SKF in Luton. 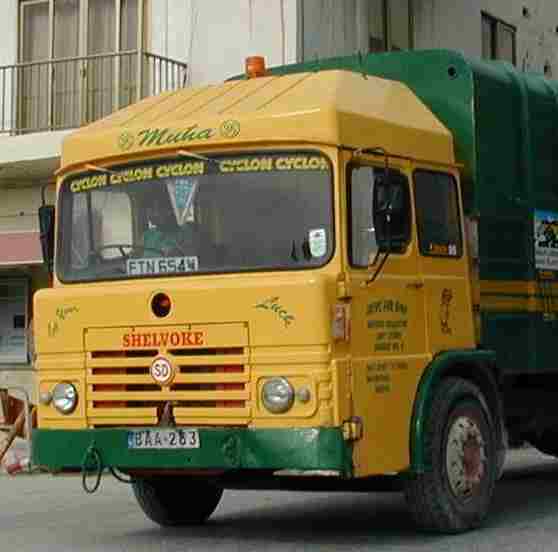 LXE 51 E, a 1967 TN Pakamatic was bought by London Recycling in 2004. This 1970 model TBN Reg No. GWJ 867 J with a Fore and Aft body covered 71,855 miles in the service of Sheffield City Council. Retired in 1982 it was restored by its owners. FBU 227 K is a 1972 TBN Pakamatic beautifully restored by members of the City of Bradford transport vehicle maintenance section between November 1997 and summer 1999. Formerly with Oldham Council the vehicle was found in a dilapidated condition at Denholme, which is on the outskirts of Bradford. Assistant Works Manager, Paul Wright, and Project Fitter, Allen Freer were responsible for the restoration, Allen is now the custodian of the vehicle. It is now owned by the Keighley Bus Museum in West Yorkshire. 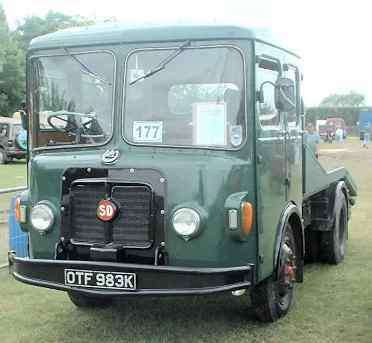 Once a TBN Pakamatic with a Lancashire Council, OFT 983 K has been modified to carry vintage tractors to rallies. It is owned by Mr. D.B. Jones of Hitchin, Herts. Pictured at the Wood Green (Animal Shelter) Rally on the 26th July 2003. Sold at auction in 2013 it's present owner and location are unknown. At present in Ireland awaiting the commencement of restoration. 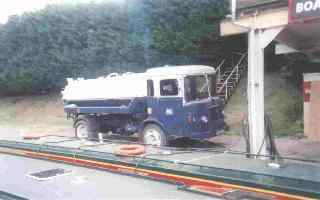 This 1973 Cesspit Emptier (Registration Number RDM 639 M) was still in regular use at Evesham Marina where it was used for pumping out the boats, it was finally retired early in 2003. Subsequently the vehicle has been acquired with the intention of restoration and preservation, and has been seen advertised for sale. Thanks are due to Nick Billingham who supplied the information and the photo. 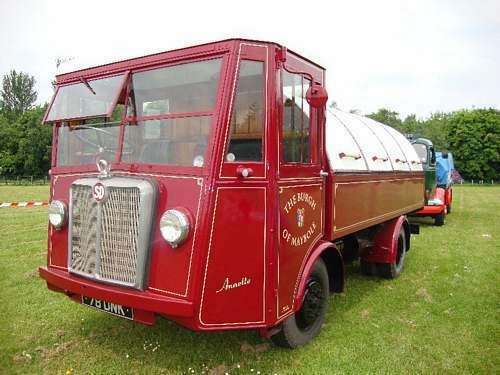 GJD 121 N, a 1974 'TN' tanker was built for delivering domestic heating oil in London for BP Ltd. With its narrow width and short wheelbase it was ideal for use in narrow streets.It was last seen as a cab/chassis for sale by Westbury Breakers, Wiltshire. 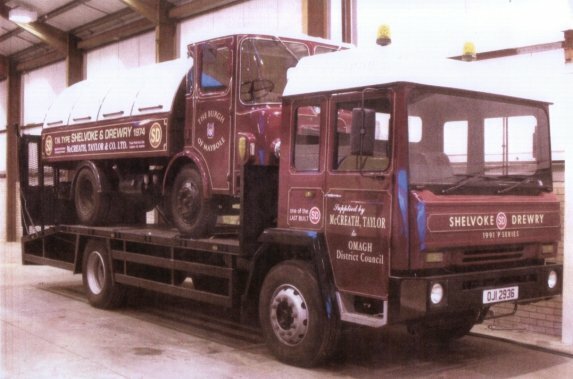 ThisTN was restored by Michael Cooper from South Ayrshire, Scotland.The cab/chassis was in a pretty poor state when Michael purchased it but over a period of 18 months he converted it into the magnificent vehicle pictured right and fitted with a replica Chelsea type body. In December 2009 the vehicle was purchased by McCreath Taylor (N.I.) of Lisburn for preservation. In August 2018 after further restoration work the vehiclle reappeared in the guise of a tar tanker in the livery of McCreath Taylor Ltd.
GJD 124 N in the form of a BP Tanker was stored at Cranfield. It was sold in 2008 and dismantled for spares. 507 ENV ex-Kettering R.D.C. was at Stilton, near Peterborough, in remarkably good condition for its age. Its present whereabouts are unknown. A 'TY' Revopak with the Maltese Registration BBA 495 remained in service on the island in 2003. Two further 'TY's not in service were also photographed. County Durham is said to have some 'T' types converted for gritting duties, and 'T's are said to exist on St. Helena and in the Caribbean. GKT 122 D is a 'T' type tanker advertised for sale in June 2009. It dates from 1966 and has surely seen many years of service. It is available to view near Rochester, Kent. The 'N' type was introduced in 1972. For the first time a proprietory Motor Panels steel cab was used, albeit much modified. The 'N' therefore bears an outward similarity to a number of other manufacturers' vehicles of this time. Andy Martin from Towcester, saw this 'N' Revopak whilst on holiday in Malta in May 2003. The vehicle was in daily use emptying the rubbish bins of Marsalforn on the island of Gozo. No less than fourteen further 'N' types were operating in Malta when Jaap Mikkers visited in April 2003. These all carried S&D's Revopak body. It is believed that by the end of 2015 all these vehicles have been withdrawn from service due to more stringent Maltese Government regulations. In Malta it was operated by a private contractor. What was to prove to be Shelvoke & Drewry's last model, the 'P' type made its appearance in1978. Designed under a team headed by Tom Tillson, with Frank Dean as Chief Engineer the 'P' series tilt cab was once more built 'in house.' 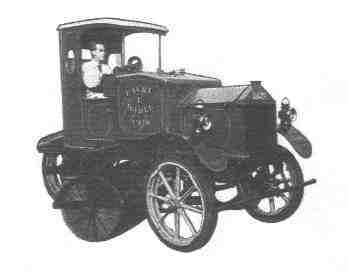 The 'P' series chassis ranged from 11.5 tons gvw up to a tandem axled 22 tons gvw. Seven examples are in existence, with several more on Malta. Steve Jones, from Sandown on the Isle of Wight, owns this 1982 'P' series Revopak. It has an unusually short body and wheelbase necessitated by its use on the Scilly Isles by their local Council. This S & D featured on TV's Channel 4 Programme 'Salvage Squad' on 27th January 2003. The near derelict vehicle was rescued with the help of another Revopak found in a Breaker's yard. Its Registration number is SCY 786 X and was photographed in 2005 at the Old Warden Steam Fayre. A 'P' series Revopak was stored at the National Transport Museum in Dublin but was scrapped in 2017. Steve Jones of Sandown, Isle of Wight also owns a 1986 PNL+ Revopak Reg. No. D 93 DAJ that was last used by Blackpool Corporation on litter bin collection on the sea front. Steve purchased the vehicle in 2002 and is busy restoring it. service of Magee Haulage in the Isle of Man. livery of Belfast City Council and is owned by McCreath Taylor Ltd.
Whilst in service with Magee Haulage it had the Reg,. No. OJI 2936 is an SD P type now with flat bed body. Year of manufacture: 1991. Original Owner: Omagh District Council. Owner: Peter Johnston. Location: Lisburn, Northern Ireland. This vehicle was among the very last SD's built. 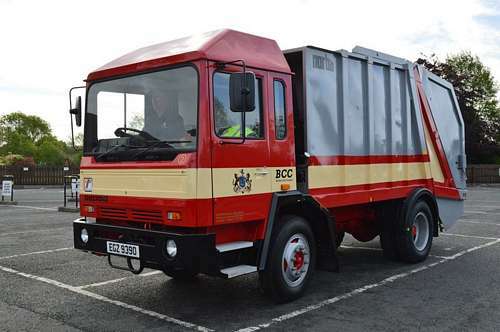 After service with Omagh District Council it was sold at auction in September 1988 and eventually acquired by James McAleer of Fintona, Co. Tyrone who converted it to a recovery vehicle for commercial vehicles. This included removing the rear bogie, the automatic gearbox was replaced by a manual box and a new rear axle was fitted. After many years the vehicle was bought by Peter Johnston in July 2010 and fitted with a beavertail body so that it can be used to transport preserved vehicles, and is shown left with GJD 121 N. At that time the vehicle had recorded just 35,000 miles. At least 10 'P' series vehicles were in operation in Malta in 2003. It is believed that by the end of 2015 all these vehicles have been withdrawn from service due to more stringent Maltese Government regulations. Because of import restrictions the London Brick Company were unable to purchase Hyster Heavy Duty Fork Lift Trucks in the 1950's. An approach to S&D was made and the Company commenced the manufacture of the Freighlifter range in 1952. This range continued in production until 1962 when the new Defiants were introduced. Fork Lift Truck production ceased in 1974 when this part of the business was sold to Rubery Owen who manufactured the Conveyancer Fork Lift Truck range. SD Freightlifter Fork Lift Trucks still in Service. Wayne Abbott from Sheffield operates a 1957 S&D Freighlifter 18/82 and says there are a further five Freightlifter trucks in the Sheffield area. We are aware also of two trucks still in service in Belgium. 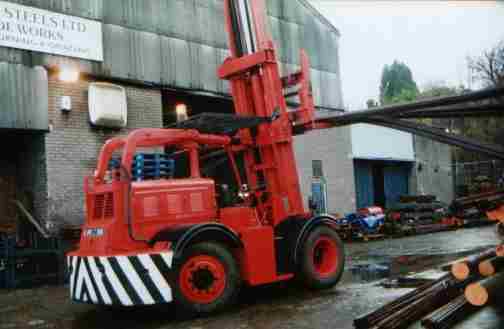 A 1971 SD Defiant fork lift truck is still operational in a timber yard in South Yorkshire. A Model 82 Freightlifter has been preserved at the National Fork Truck Heritage Museum at Swanwick Junction, Derbyshire. The truck dates from1956 and is an ex-military machine. Equipped with a side shifting and side tilting fork carriage and powered by a Perkins P6 engine the truck is in need of some cosmetic tidying up but is still in working order. The museum acquired the truck in 2005 when a local contractor had no further use for it. There is every indication that the truck was stored outdoors for a number of years. 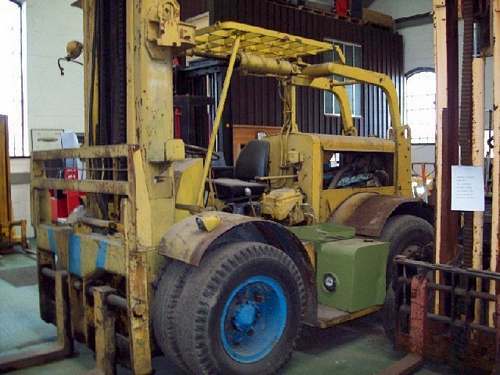 In later years the Freightlifter was used for lifting military tanks on and off transport using long fork extensions which the museum also obtained. I would highly recommend a visit For directions see http://nationalforktruckheritagecentre.org/ and note that a prior telephone call is advisable. The museum is reached via the Butterley station on the preserved Midland Railway. The SPV Division - Fire Appliances. When S&D ceased Fork Lift Truck production in 1974 the SPV Division was formed. 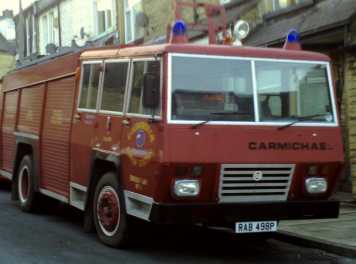 In 1975 Shelvokes entered the Fire Service and Crash Tender market, in collaboration with companies such as Carmichael and Cheshire Fire Engineering. EBB 847 W A 1980 SPV Foam Tender. New to Tyne & Wear as a foam tender, stationed at Whitley Bay Fire Station. In the late 1990's the Brigade moved away from dedicated foam tenders to Operational Support Tenders, which were multi-purpose. EBB 847 W was converted at this time. Its owner now uses it to transport his 1921 Dennis 'N' type to rallies etc. Don't be alarmed if using this link! The two Shelvokes share a home with a host of Dennis' appliances. 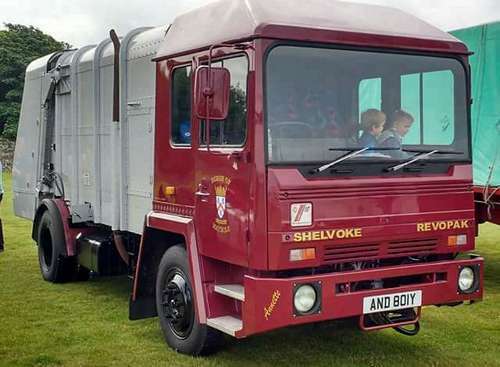 When Spencer Townson of West Yorkshire Classics of Bradford added RAB 498 P to his fleet of classic vehicles he didn't realise how rare a Shelvoke he had purchased. 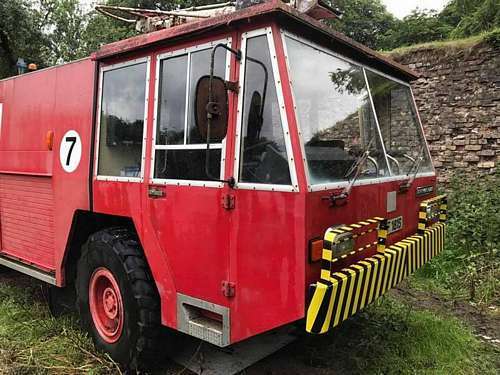 This 1976 S&D/Carmichael Fire Tender is one of only a handful that were ever made. Originally in the service of Hereford and Worcester Fire Brigade, the vehicle has spent its last years at Yorkshire's Eggborough Power Station. It had only just over 19,000 miles on the clock! It is now at the Santa Pod Raceway in Northamptonshire. Terry Prince owns YHV 197 T a 1979 Shelvoke WX series Pump Escape Ex-London Fire Brigade, YHV 187 T a Pump Ladder and GYW 631 W another pump ladder. 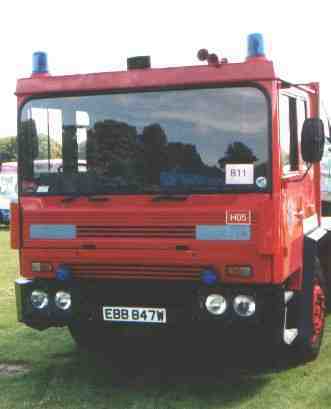 GYW 614 W made in 1980 and similarly ex- London Fire Brigade was owned by the late Andy Lang and is now owned by Chris Shelly Houghton. Fire Service Vehicles still in Service. 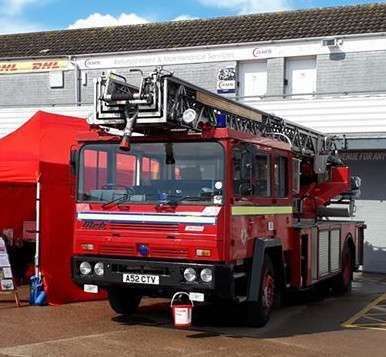 In 2003 the London Fire Brigade were believed to have two hydraulic platform vehicles on SD chassis still in use, and Nottinghamshire Fire Service had a WX series in service with a Turntable Ladder, and Hereford & Worcester Fire Brigade operated an 'A' reg. machine. All thse are now believed to have been wihdrawn from service. abandoned in the corner of a field for the past 8 years. 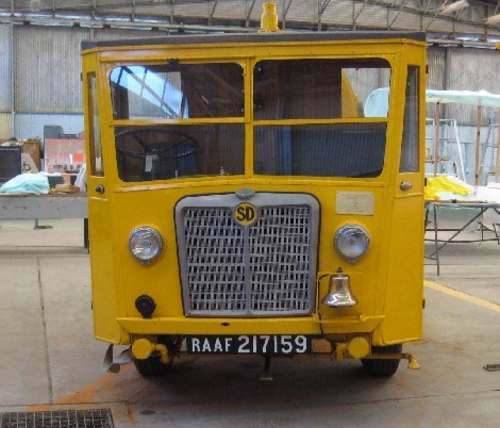 From November 1932 until production was transferred to the London based concessionaires in 1937, S & D produced between 150 and 175 of the French Latil KTL tractors. 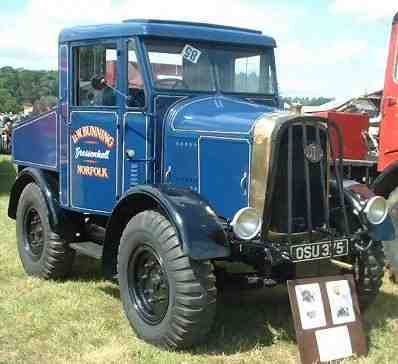 Four Latil tractors are known to be preserved: Latil 4 x 4 built 1938 Reg. No. BMO 154, and OSU 375 whose date of production is unknown. KEX 901 was built in 1937 by Latil at Fulham. It was restored in the 1980's by George Berry and is now owned by his brother Peter. The vehicle is in show condition and will appear in rallies in the 2006 season. JD 8350 which is on display at the British Commercial Vehicle Museum, Leyland, Lancashire, is a 1937 model bulit by S&D and carries the livery of Tate & Lyle. OSU 375 shown on the right was photographed by Peter Jarman at Weeting Steam Rally on 20th July 2003. 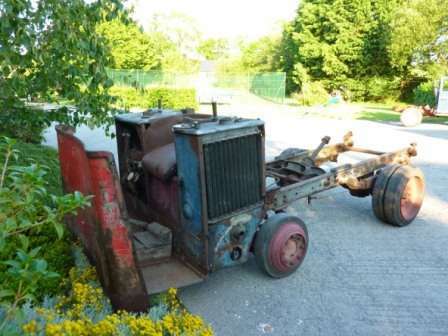 I am grateful to Mr Steven Thomas for sending information about a 1920 Lacre Roadsweeper that was at the Stondon Transport Museum near Henlow, Beds. What has this to do with S&D? The Sweeper was designed by James Drewry in 1912 and built whilst he and Harry Shelvoke were employed by the Lacre Company. 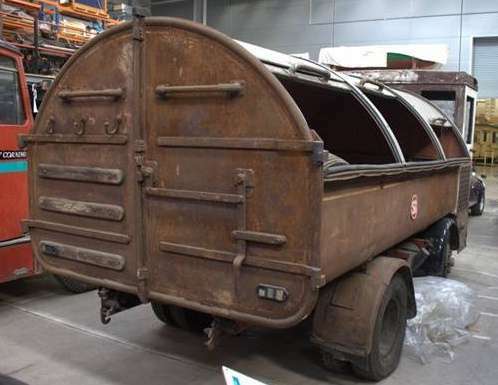 The vehicle was used by Motherwell and Wishaw Council in Scotland until 1952. The Registration Number is 800 WJH and the Sweeper has taken part in the HCVS London to Brighton Run winning many 'Concours d'Elegance' over the years. The Stondon Musem closed in 2015 and on 10th June 2015 the sweeper was sold at auction. It's present owner and location are unknown.